Letter written from both brothers and says their next letter will be to their brother-in-law, Jozik. They mention that they imagine their sister's departure was hard for their parents. They say it's a hot spring. They also say they are glad that their brother-in-law is pleased with their sister's cooking. 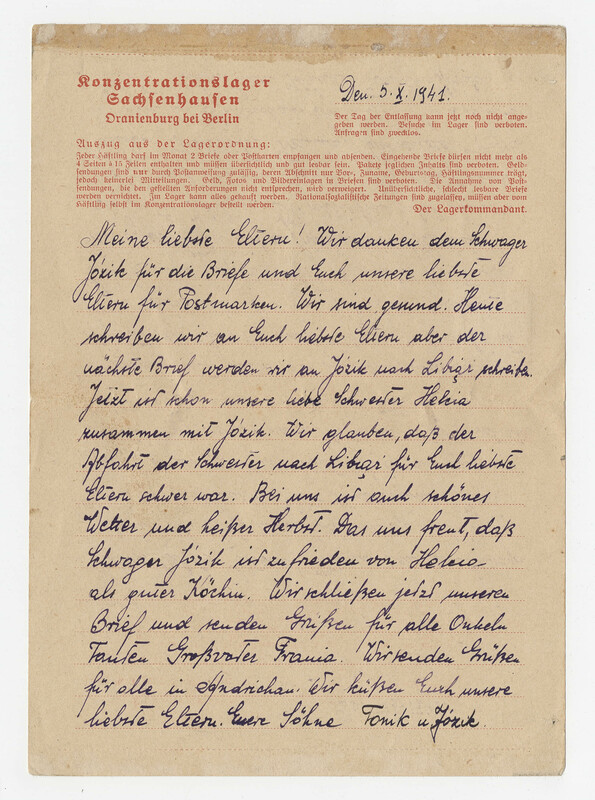 - Correspondence from Josef DRONG and Anton DRAG, both prisoners in SACHSENHAUSEN, who were probably brothers even though their names are written differently and sometimes in more than one way. Their prisoner numbers are in close sequence which shows they probably arrived at the camp at the same time. 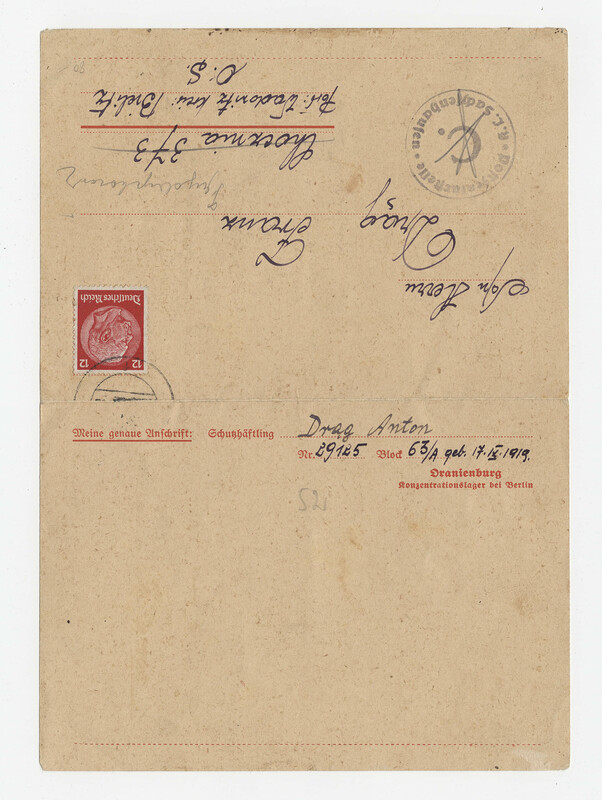 Except where noted, the letters of both are addressed to Franz DRONG (or Drag) in Chocznia then in Wadowitz in Upper Silesia. They are addressed to “dear parents, sister and brother-in-law ».